You should be aware of a few changes that are coming in 2018 to how small employers sign up for Small Business Health Options Program (SHOP) health and/or dental coverage. Small businesses can apply for and enroll in SHOP health insurance through an insurance company or with OUR help here at A+ Finance & Resource Group, as a SHOP-registered agent or broker. 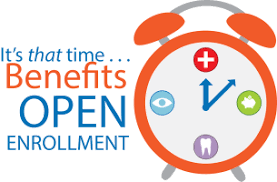 Small businesses will no longer need to create a HealthCare.gov account to enroll in health and/or dental coverage. Small businesses will now pay premiums to their insurance company, not to SHOP or on HealthCare.gov. If a small employer is enrolling in SHOP insurance for the first time or has experienced a gap in SHOP insurance, we will still verify your eligibility to purchase SHOP insurance. Contact us today! So It Begins.. Oh Those W4’s.